Lindt & Sprüngli was able to improve its profits in 2011 despite some extremely challenging conditions and the Swiss chocolate maker looks well-placed to continue this trend in 2012. In the face of a strong Swiss franc - with currency exchange trimming a massive 9.5 percentage points off sales - and extremely tough trading conditions in the second half of the year, Lindt's ability to deliver growing profits (even if modest) during 2011 demonstrates the robustness of the company's business model. During 2011, Lindt succeeded in growing its revenues from all of the geographies in which it operates, with the exception of Switzerland. Domestically, the company was nevertheless able to report an increased market share, which reached its highest level ever. 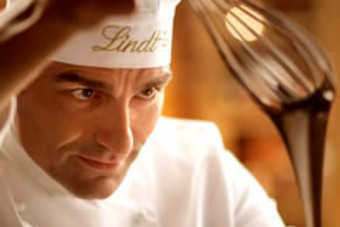 In fact, market share growth was reported by the majority of Lindt's global businesses. 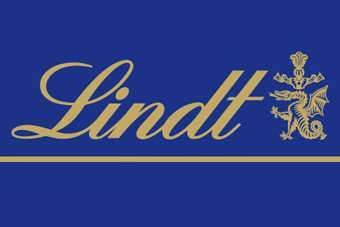 While the eurozone debt crisis and rising unemployment levels may have dampened demand in some areas of Europe, particularly countries such as Italy and Spain, Lindt managed to take a larger slice of an albeit smaller pie. Likewise, in the US, where the company operates through its Ghirardelli subsidiary, Lindt claimed to be one of the market's "fastest growing brands". Despite weak consumer sentiment the firm pushed through price increases whilst also expanding market share in the country. Meanwhile, in well-developed and highly competitive markets where demand for chocolate increased - such as France, and Germany - Lindt continued its march with further market share gains. The company's recipe for success, according to Lindt chairman and CEO Ernst Tanner, is its focus on quality and exclusive positioning in the premium segment alongside targeted new product development. "This sales performance, which proved very satisfactory on the whole, accompanied by significant market share gains, is the outcome of a long-term strategy designed to maintain our competitiveness even in difficult circumstances, and to secure the growth of the company on a sustainable basis," he said today (1 March). Another prong in Lindt's strategy to generate profitable growth is geographical expansion and in 2011 the firm made inroads in Africa with the establishment of a South African business unit. In the emerging markets of Eastern Europe, Asia and South America, Lindt said that its modus operandi is to create separate subsidiaries to tackle each region. This allows the company to take a tailored and "sympathetic" approach to expansion in different geographies and is proving both efficient and effective, the group said. "We have advanced our global presence step by step and are now active with the Lindt brand and our products in over 100 countries round the globe," Tanner emphasised. Financial analysts welcomed the results and said the forecasts on Lindt could be taken upwards if economic pressures ease, notably across the Atlantic. Kepler Capital Markets analyst Jon Cox called Lindt's results "a positive set of numbers" amid the 60 basis point fall in material costs. He added: "We see some slight room for an upward movement in estimates given improving conditions, particularly in the US." So, with a wealth of untapped potential in emerging markets, Lindt appears confident of its ability to succeed in areas of the world that are not traditional chocolate markets and the company is investing in growing these businesses accordingly. If successful, Lindt can look to these new regions to fuel sales growth for years to come.